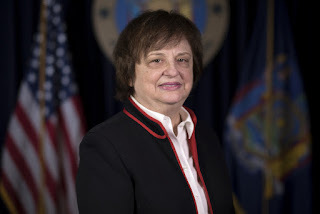 NEW YORK, N.Y. -- Attorney General Barbara D. Underwood – part of a coalition of 12 Attorneys General – today sent a letter demanding the Trump Administration immediately reverse a policy that has delayed and prevented the placement of unaccompanied migrant children with their family members or other appropriate sponsors living in the United States, keeping such children in prolonged federal detention. "These unaccompanied children have already faced profound trauma. It's unconscionable that the Trump administration is further prolonging their detention and unnecessarily keeping them separated from family or sponsors," said Attorney General Underwood. "The federal government must immediately reverse this inhumane policy." According to the letter, sent to U.S. Health and Human Services Secretary Alex M. Azar II and U.S. Department of Homeland Security Secretary Kirstjen M. Nielsen, the policy requires prospective sponsors of unaccompanied migrant children and their entire households to submit to fingerprinting and background checks, which are automatically shared with Immigration and Customs Enforcement (ICE). The letter alleges that the policy imposes unjustified burdens in the sponsorship process and leaves many prospective sponsors with an "untenable choice" of either leaving children in federal custody or coming forward and possibly exposing themselves or loved ones to immigration enforcement. The Office of Refugee Resettlement entered an agreement earlier this year with ICE and Customs and Border Control to impose these requirements on prospective sponsors despite a lack of evidence that they would make children safer, according to the letter. The Attorneys General contend that the requirements have resulted in immigration-related arrests of prospective sponsors and allege the true motive for collecting and sharing their information has been to detain and deport them. The policy has kept migrant children in unnecessarily prolonged federal custody and contributed to the number of children in detention ballooning five-fold since last year to more than 13,000. These children have been left to languish in overburdened shelters, according to the letter, and the federal government is now dealing with capacity issues at these shelters by moving children to a makeshift tent city in Tornillo, Texas. The letter says the unlicensed tent city has been described as a prison-camp, with 20-person tents and military-style bunk beds and argues the policies that unnecessarily burden sponsorship will increase the number of children in detention and the reliance on these unsuitable detention facilities. In April, the Trump Administration announced a "zero tolerance" policy requiring the immediate separation of children from their parents and the criminal prosecution of adults who entered the U.S. without permission, including those seeking asylum. In June, Attorney General Underwood – part of a coalition of 18 Attorneys General – filed a lawsuit against the Department of Justice, DHS, and Trump Administration officials over their illegal and immoral policy of forcibly separating children from their families at the southern border. The Attorneys General argue that the policy violates due process, equal protection, and federal law, and has torn apart countless families. Today's letter was signed by the Attorneys General of Massachusetts, California, Delaware, Illinois, New Jersey, New Mexico, New York, Oregon, Vermont, Virginia, Washington, and the District of Columbia.